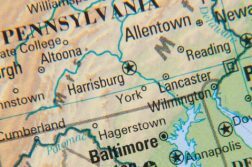 More than a year has passed since Pennsylvania lawmakers legalized an array of online gambling verticals, and in the next few months, finally, virtual sports betting and casino games are expected to go live inside the Commonwealth. No casino seems more prepared to convert its brick-and-mortar patrons to online play than Parx, the state’s top-earning gambling property, which holds licenses to offer online slots, table games, poker, and sports betting. 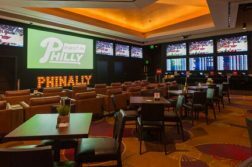 The Bensalem property, which launched its retail sportsbook earlier this month, already boasts a trio of online products that have been built, in large part, to attract and retain customers while prepping them for real-money online gambling. 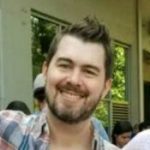 Those include two sports-focused websites, Betslip Builder and a free-to-play (F2P) sports betting platform, along with a full-featured play-money online casino. Martin Wester, head of on-property product development for Kambi, the company behind Betslip Builder (also known as BYOD, Bring Your Own Device), spoke to Penn Bets about its inception and impact. 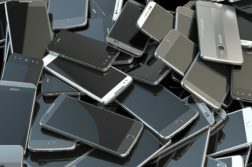 Betslip Builder is a mobile-first website powered by sports software supplier Kambi, which allows gamblers anywhere in the world to view live lines from Parx Casino and reserve their bets online. The site looks very similar to proper sports wagering platforms already functioning in New Jersey, the only difference being that Betslip players must physically travel to the casino sportsbook to place the bet. The website makes the process as smooth as possible. Players can view odds on 10 different sports and make a combination of bets across sports and events. Once the wagers have been selected, a virtual slip along with the QR code is generated, which the user can scan and take to Parx. The Builder not only helps acclimate players to online betting, but also allows them to skip the lines at the sportsbook by simply entering the QR codes into one of the property’s sports betting kiosks. According to Wester, Betslip Builder was originally conceived to facilitate sports betting for casino regulars. But while it was originally created to appease VIPs, it was later viewed as a way to educate brick-and-mortar players about online gambling before they have the option of playing for real money. Another byproduct of the innovation is the creation of brand loyalty before online betting becomes a reality, added Wester. Parx was the fourth casino to go live with retail sports betting in the state, behind Hollywood, Rivers, and SugarHouse. Operators are waiting for the green light from the Pennsylvania Gaming Control Board before launching their online/mobile products. Betslip Builder hasn’t been live long at Parx, but officials are already seeing growth. Betslip is only one of the ways Parx hopes to prepare gamblers for online wagering. The site has long featured a play-for-fun online casino, which boasts dozens of slots and table games that are also popular with real money gamblers. The offering was created by software developer GAN, which will also serve as the casino’s real money online casino and poker tech partner. What’s more, Parx has recently launched an F2P sports betting product through a deal with Chalkline Sports. Chalkline launched a similar product last June in New Jersey through Tropicana Casino. The F2P platform at Parx currently gives players the option of betting on a combination of four events. Bettors are presented with a number of scenarios and choose which bet they think will be a winner. If, after the games conclude, all the guesses are correct, the player can win vouchers that can be used at Parx’s brick-and-mortar location. Parx has undoubtedly done more than any of its competitors to help transition live gamblers to online betting. When real money iGaming goes live in the coming months, it will be interesting to see if the efforts bear fruit.